Deposit Amount – This is the amount which you invest once in your FD account. Minimum deposit amount should be Rs. 1,000. Interest Rate – FD rates vary depending upon deposit tenure. Deposit Tenure – Maturity value also depends on the period for which you invest your money in FD. Generally, FD tenure ranges from 7 days to 10 years. Interest Compound Frequency – This calculates maturity amount based on monthly, quarterly, half yearly or annual frequency. 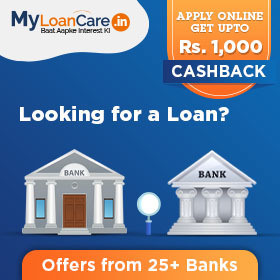 Deposits are of two types – periodic interest payout and cumulative. Periodic Interest Payout - In this option, you would receive a fixed interest at the end of every period (say, a quarter). The interest amount would remain unchanged through the tenure of the FD. Entire principal would be repaid at the end of the period. Cumulative deposit - You may remember having studied “compound interest” in middle school. Say, you place a deposit of Rs. 10,000/- with Bank A at 10% p.a. for 3 years. Now, how much money would you get at the end of 3 years? Is it Rs. 10,000 in principal plus 10% interest or Rs. 1000 multiplied by 3? That comes to Rs. 13,000. However, if you use the FD calculator here, the result will be Rs. 13,449. Why does bank pay you this extra Rs. 449? This is the compounded FD interest. In simple terms, interest on bank FD’s is typically compounded quarterly. So, a 10% per annum rate of interest means 2.5% per quarter. At the end of first quarter, the bank credits Rs. 250 to your deposit account and in the next quarter, the interest payable is 2.5% on Rs. 10,250 and not on Rs. 10,000. This process repeats itself for 12 quarters and earns you a total compound interest of Rs. 3,449. More the compounding frequency, higher the interest a customer earns on FD. So, instead of quarterly compounding, if the above FD was on monthly compounding basis, the interest amount would be Rs. 3,482 instead of Rs. 3,449 with quarterly compounding. In the context of fixed deposits, FD interest compounding refers to earning interest on the interest itself! Slightly complicated but then you make more money this way! Interest income from FD’s is taxed at tax rate applicable to the deposit account holder. So, depending upon your tax bracket, out of the 10% that your bank pays on your deposit, you may have to pay upto 33.99% of that to the government for it to run the country. One word of caution - interest on deposits is to be taxed on an accrual basis and not a receipt basis. Say, you place a cumulative deposit with a bank for 5 years and hence will receive interest only at the end of five years. Still, you must pay tax on the accrued interest for each of the years in that year itself. Banks are required to deduct tax at source (TDS) at the rate of 10.30% on interest paid (accrued) on FD’s when the interest exceed Rs. 10,000/- in a financial year. This is calculated with all branches of the same bank taken together. In case of companies, they must deduct TDS at 10.3% on deposits when the interest earned in a year exceed Rs. 5,000/-. What is the minimum amount that can be deposited into a FD account? You can deposit a minimum amount of Rs. 1,000 in FD account but there is no upper cap on deposit amount. 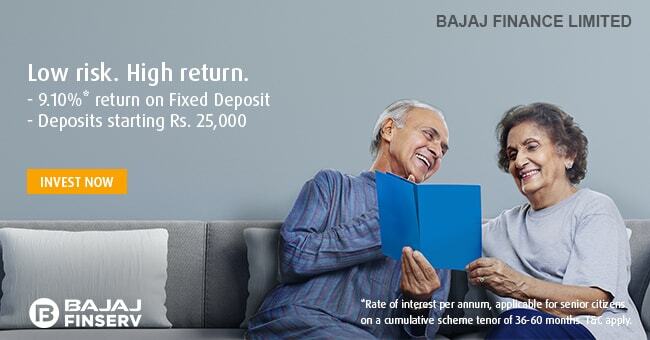 Are there any extra benefits for senior citizens on fixed deposit? Yes, senior citizens get extra benefit of higher interest rates on their FD. 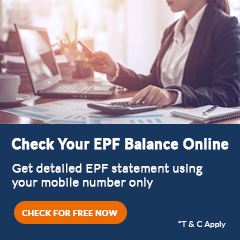 What is the minimum and maximum tenure for which I can open an account in FD? You can open a fixed deposit account for minimum 7 days and maximum upto 10 years although it may vary bank to bank. When do I become accountable for tax? As per Income Tax Act, 1961 under section 194A when the interest earned on FD in a financial year exceeds Rs. 10,000, TDS is applicable on the credited interest. As per the latest data released by RBI, the banks have received a 13.24% credit growth during FY19 as compared to 9.85% in FY18. While the deposit growth has grown by 9.99% in FY19 as compared to 6.15% in FY18. In its latest monetary report, RBI has said that the banks have received a significant growth in deposits and credit on account of improvement in their financials and resolution of bad loans and stressed assets under the insolvency and bankruptcy code.